NEW MEXICO, Santa Fe – March 17, 2011 – Paul Philip Schneider, a mechanical engineer, was no slouch but a patriotic ex-military American who was found garroted to death shortly after publicly exposing a work-site area near the Archuleta Mesa ( between Colorado and New Mexico ) where an event occured while he worked under ‘contract’ for MORRISON-KNUTSON INC. that upon instructions from the Los Alamos Scientific Laboratory ( LASL ) Geosciences Division – now known as – Los Alamos National Laboratory ( LANL ) caused him to be sent down an ‘old nuclear bomb borehole’ ( see further below about “Nuclear Fracturing” ) he claimed was located in a ‘remote area of northern New Mexico’ where his mission was to discover why huge plumes of ‘black soot’ were forcefully being shot up into the atmosphere’ at an active drill site where his team was located. Schneider, by his own accounts, claimed the black soot atmosphere smelled like a sulphuric gas lingering in the air all around the drill-site, but who ever heard of a ‘carbon atmosphere’ of ’black sulphur gas’? It is still seriously doubted if Phil Schneider knew what was actually happening down in the cavern he was ordered into through the borehole. – What those plumes of ‘black soot’ actually consisted of, and ‘why’ it was being ‘forcefully shot-out of the borehole’ with such ‘pressure’;? – How a ‘huge cavern came to be made’ at the bottom of the borehole? – What the ‘cavern had been filled with and why’? – Why boreholes were ‘specifically directed to be drilled precisely where they were’? From what has been able to be gathered from in-depth research, Schneider was apparently sent by KNUTSON to perform his role as a ‘mechanical engineering consultant’, who totally by accident discovered something beyond his wildest imagination – and many other’s too. Schneider was lowered down one of the boreholes with an ‘armed black beret military team’ that surrounded him but he could not understand ‘why’ he had such escorts – except for some unknown military security reason he wasn’t cleared to know, and being ex-military, Schneider knew-better than to ask any questions, but to ‘do what was asked of him by his superior’. Now comes the point within this report that information becomes incredibly bizzare, however by in-depth research Schneider’s claims ( below ) have been pulled somewhat back into ‘more detailed perspective’ by ‘incredibly related facts’ that existed long ago. Schneider and the other armed U.S. federal military employees discovered a group of what Schneider claims were ExtraTerrestrial Biological Entities ( EBEs ) that he referred to as alien “Grey talls” ( 7-foot extraterrestrial aliens with a bluish purple bioskin color. Once lowered through the borehole, a deep underground cavern appeared and this is when Schneider claims he instantly got off several rounds of his own ammunition ( from his sidearm pistol ) before being shot by some ‘blue beam of light’ – leaving him cut wide-open in the chest as having several fingers of his cut-off from what the first ( 1st ) alien he encountered ( down there ) apparently aimed at him ( Schneider ). Schneider further claimed that nearly sixty ( 60 ) U.S. government personnel and contractors lost their lives during this August 1979 ‘unpublicized event’ in what Schneider described having been involved-in an underground cavern filled with alien beings. Hard to believe, I know because at-first I totally scoffed at Schneider’s claims being utterly ridiculous, until some unrelated research studied earlier portions of what Schneider claimed. Years earlier ( 2002 ) I was exchanging communications with someone related to Paul Philip Schneider, on an entirely ‘different subject’ related to work his ‘father’ Oscar Schneider was involved-in with the U.S. Navy, and current research now dovetailed back to that which I was researching years ago surrounding a U.S. National Security Agency ( NSA ) ‘precious metals’ scientific recycling process that involved baking ore resulting in low-yield nuclear energy transmutation of material into high-yield elements. It appeared from further studies that Oscar Schneider’s son, Paul Philip Schneider claims required further detailed clarifications, which he either could not perform earlier due to secrecy agreements with the U.S. government or he may have felt he should ‘not’ provide too many specifics for fear of breeching a “business agreement” he made with the U.S. government, however based upon current research beyond Schneider’s claims, incredible further facts go far beyond this report sufficient to at least warrant a suitable public release of information contained herein. Phil Schneider mentions that upon drilling “boreholes” the drill-site teams were experiencing “huge plums of black soot’ or “black dust” ( that stank ) and were being ‘rapidly ejected under pressure’ into the atmosphere, which also lingered near the ground, from within these underground hole locations they were being told to drill at. None apparently knew ‘why’ or ‘how’ these odd occurences were taking place, or why they were drilling where they were. Initial research indicates that “Nuclear Fracturing” ( 1962 – 2005 ) had been used earlier in ‘underground nuclear blasts’ for what was said to be “oil experimentations,” which was a U.S. government cover for underground testing of nuclear warheads subsequent to Russia having exploded what it called the “Tsar Bomba,” a 100-kiloton nuclear bomb that the U.S. later claimed only yielded 50-kiloton blast with a Circular Error Probability ( CEP ) range for death from irradiation up to 60-miles away from ground-zero. Did previously ‘large U.S. oil reserves once exist’ until subsequently becoming nuclear blasted underground, creating both a ‘high pressure black oil carbon soot atmosphere’ and simultaneously creating these ‘huge underground caverns’? Were “Grey” alien “talls” ( 7-foot ) provided with a ‘government secret atmospheric environment’ consisting of ‘large underground cavern living where they were the only ones able to breath a high carbon pressurized atmosphere consisting of gamma irradiated particle elements” derived from ‘earlier U.S. secret military underground nuclear Projects’ publicly called “Nuclear Fracturing”? If so, could an extraterrestrial alien agreement been reached secretly with the U.S. government? Was the LANL / LASL Geosciences Division ‘borehole drillings’ “Hot Rock” Project – publicly revealed as only seeking ‘new geothermal energy alternatives’ only a ruse? By ‘drilling boreholes’ ( in highly ‘specific remote locations’ where contractors were ‘told to drill’ ) did that ‘actually and instantly deplete’ all of the carbon dense atmosphere used by these Grey alien “talls” whom were thereby being killed down inside these caverns? If so, why would the U.S. government destroy what it must have worked so hard to build for these aliens? There is only rumored mentions of a percentage reduction number of Grey talls ( aliens ) being sighted on Earth, whereas “Grey shorts” ( 4-foot to 5-foot tall ) are now only but rarely sighted so, were nearly 80% of the “Grey talls” actually “wiped-out” by ‘another alien species’ – as rumored? Is there any truth to any of this and are there any other correlations worth researching to such deep underground military bases and caverns albeit for aliens or humans? Why have ‘sophisticated landing strips’ on “Church of Scientology” ( COS ) ‘remote properties’ been purchased by its “Church of Scientific Technology” entity that has also built ‘sophisticated underground vaults’ and ‘sophisticated long tunnel systems’ that are ‘guaranteed to last 1,000 years’ equipped with ‘sophisticated nuclear blast-proof doors’ built to withstand any direct nuclear hit? All of these have been substantiated through my research and documented by satellite photos, facility diagramatics, and land parcel details and grant information on many of these COS / CST ‘remote installation properties’. – Google Earth shows a ‘gigantic cave-in’ or ‘explosion hole from something’ where scattered atop is an unusual ‘broken and caved-in lattice pattern’ of ‘huge very-very long beams / tubes’ [ cavern / cave / tunnel support beam cylinders ] that appear ‘snapped like twigs’ and sunken into a remote cave-in area nearest Edith, Colorado of the Archuleta Mesa area. Church of Scientology ( COS ) and Church of Scientific Technology ( CST ) New Mexico vault tunneling construction performed by INTERNATIONAL GROUND SUPPORT SYSTEMS ( Santa Fe, New Mexico ). – INTERNATIONAL GROUND SUPPORT SYSTEMS ( Santa Fe, New Mexico ); – CER GEONUCLEAR CORPORATION of EG&G ( Las Vegas, Nevada 89114 ); – MORRISON-KNUDSEN INC. – aka – KNUTSON ( Las Vegas, Nevada ); – MORRISON KNUDSEN ENGINEERS – aka – KNUTSON ( Tulsa, Oklahoma ); – CHANDLER ENGINEERING of EG&G ( Tulsa, Oklahoma ); – Others ( e.g. AUSTRAL OIL, et al. ). Atoms for Peace program fails oilpatch testing. Atoms for Peace was a grand idea aimed at benefiting the world and was tested in the oilpatch. It never reached its potential in ‘industrial use’, however it did set an active alternative; accelerating the nuclear arms race between the U.S. and Russia. In the United States, that effort kicked-off OPERATION PLOWSHARE – named for the Biblical passage that referred to turning swords into plowshares. The United States had high hopes for Operation Plowshare. It anticipated twenty-seven ( 27 ) nuclear programs using atomic devices for peace. Among those plans were proposals to use more than one-hundred ( 100 ) nuclear explosions to blast a 37 mile ( 60 kilometer ) long canal across the isthmus of Panama at San Blas. Another plan would use at least 250 blasts for a 140 mile ( 225 kilometer ) canal on the Nicaragua Costa Rica border. Another, PROJECT CHARIOT, almost went into action that would have used several hydrogen bombs to blast out a harbor at Cape Thompson, Alaska in the Chukchi Sea about 75 miles ( 121 kilometers ) from the Russia border in the Bering Sea Strait. Concerns over the native population reduced that to a 104 kiloton proof-of-concept blast called SEDAN at Yucca Flats, Nevada on July 6, 1962. The blast displaced 12,000,000 million short tons of dirt and released a 12,000 ft. high ( 3,660 meter ) radioactive cloud. Native American indians of the Tiwa tribe, continue cultural traditions to this day. Around 1903, by Executive Order, U.S. President Theodore Roosevelt took over 48,000 acres of Tiwa tribal land ( in the “Sangre de Cristo Mountains” of New Mexico ) making it the “Kit Carson National Forest” (aka) “Carson National Forest” in New Mexico. In 1970, by Executive Order, U.S. President Richard Nixon returned part of that land to the Tiwa tribe. A ‘tribal disaster’ ( elsewhere ) was mentioned in an official U.S. Administration letter. Pull letter from existing files under Knights of Malta member Thomas Sawyer. Most of the real testing took place in the oilpatch, starting with PROJECT GASBUGGY – the first test aimed at releasing natural gas from tight sands and the first use of a nuclear device for industrial purposes. It took place on December 10, 1967 in the Carson National Forest of New Mexico – about 90 miles northwest of Santa Fe, New Mexico and 25 miles southwest of the town of Dulce, New Mexico. The U.S. ATOMIC ENERGY COMMISSION ( AEC ) was the oversight agency as LAWRENCE LIVERMORE NATIONAL LABORATORY ( LLNL ) and EL PASO NATURAL GAS ( EPNG ) conducted the test. They set off a 29 kiloton blast 4,240 ft ( 1,293 m ) underground in a tight shale. According to official figures, the blast created a cavity 80 feet ( 24 m ) wide and 335 feet ( 102 m ) high filled with gas. Unfortunately, the ‘gas was too radioactive’ to use. They didn’t stop there. PROJECT RULISON ( 10SEP69 ) Rifle, Colorado; CER GEONUCLEAR CORP. ( Las Vegas, Nevada ); Keith K. Millheim ( president of Strategic Worldwide LLC The Woodlands, Texas ) under CER GEONUCLEAR CORP. contract; AUSTRAL OIL ( Denver, Colorado ); TELEDYNE ISOTOPES ( Palo Alto, California ); ATOMIC ENERGY COMMISSION ( AEC ). The industry moved on to Project Rulison, probably the best known of the nuclear blasts for peace. This blast, also under the control of the ATOMIC ENERGY COMMISSION ( AEC ), was conducted by CER GEONUCLEAR CORP. ( Las Vegas, Nevada ) and AUSTRAL OIL ( Denver, Colorado ). In between international assignments Keith K. Millheim ( president of Strategic Worldwide LLC The Woodlands, Texas ) was seconded by CER GEONUCLEAR CORP. to help design the drilling and testing of the Project Rulison Nuclear Gas Stimulation Experiment. This 43 kiloton blast – 2.6 times the size of the bomb dropped on Hiroshima, Japan – was lowered 8,426 ft ( 2,568 m ) underground from a drill site on the southwest flank of Doghead Mountain in Battlement Creek Valley in Garfield County, Colorado approximately 40 miles northeast of Grand Junction, Colorado and 11 miles southwest of Rifle, Colorado. During hearings in the area, testimony revealed that the government believed the blast would fracture the tight MesaVerde gas sands and release more gas than conventional fracturing. If they could find a better way of fracturing, they might have the key to releasing more of the 317 Tcf of gas in place in tight sands, according to an article by Chester McQueary ( Parachute, Colorado resident ) writing for the High Country News. 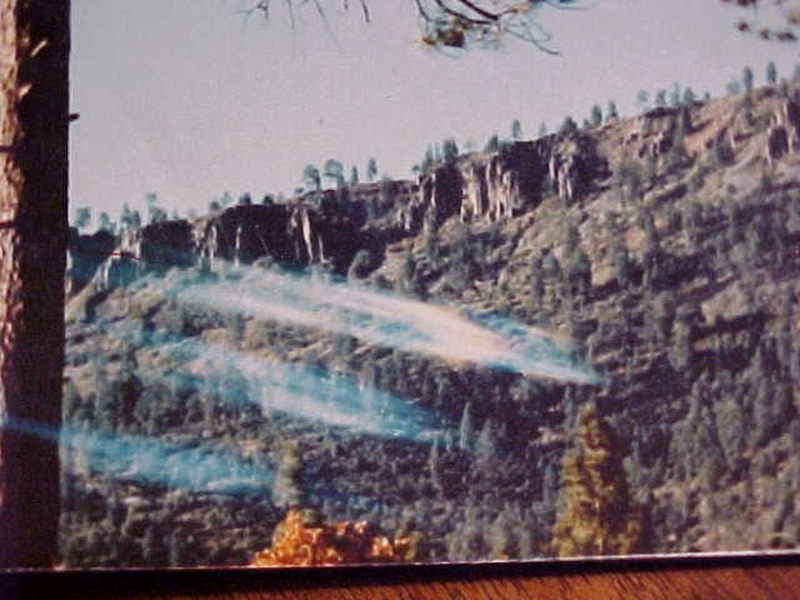 Also during the hearings, David Evans from Colorado School of Mines testified the industry would have to set off 13,000 similar blasts to get the kind of recoveries the government wanted. According to Chester McQueary, 1-week before the blast the AEC set up a 5 mile ( 8 kilometer ) quarantine zone around the well site as workers lowered the bomb into the hole. It even paid some homeowners to leave for the day. Unfortunately, winds that could have carried radiation north to Rifle, Colorado or west of Grand Junction, Colorado delayed the test until September 10, 1969. Protesters entered the quarantine area in 2s and 3s so they couldn’t be easily removed. KWSR radio station in Rifle carried a countdown for the blast. Finally, security forces just left protestors, McQueary among them, in the quarantine area. 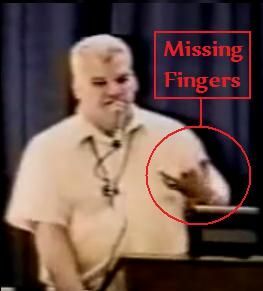 He felt a “mighty thump” that lifted him 8 inches into the air and measured 5.5 on the Richter scale in Golden, Colorado. Again, about 30-days later, the test team found the ‘gas was too radioactive to use’, but that wasn’t the end of the ‘nuclear program in natural gas’. EG&G CER GEONUCLEAR CORP. ( Las Vegas, Nevada – 1971 – 1973 ) EQUITY OIL CO. ( Salt Lake City, Utah ) C.F. KNUTSON ( 1973 – 1975 ) D.L. Coffin ( 1968 – 1971 ); F.A. Welder ( 1968 – 1971 ); R.K. Glanzman ( 1968 – 1971 ); X.W. Dutton ( 1968 ). The next test also took place in the Piceance Basin of Colorado, this one on May 17, 1973. It was called Project Rio Blanco and was scheduled in Rio Blanco County about 75 miles northwest of Grand Junction, Colorado and 30 miles ( 48.3 kilometer ) southwest of Meeker. EG&G CER GEONUCLEAR CORP. ( Las Vegas, Nevada ) and EQUITY OIL CO. ( Salt Lake City, Utah ) conducted the blast where the operators set three ( 3 ) 330 kiloton devices between 5,838 feet and 6,689 feet ( 1,781 meters and 2,040 meters ) to blast out a huge cavern in the tight Mesaverde below the Green River oil shale. The blast went off, but the caverns didn’t connect. LAWRENCE LIVERMORE NATIONAL LABORATORY ( LLNL – Livermore, California ) DESERT RESEARCH INSTITUTE ( P.O. Box 60220, Reno, Nevada 89506-0220 ) D.K. Smith; B.K. Esser; J.L. Thompson; J.I. Daniels; R. Andricevic; – 1994 – L.R. Anspaugh ” ; R.L. Jacobson ” ; I.Y. Borg; – 1976 – R. Stone ” ; H.B. Levy ” ; L.D. Ramspott ” . The federal agency had planned to move next to PROJECT WAGON WHEEL, but that test never took place. Wagon Wheel was scheduled to loosen up the tight formations on the Pinedale Anticline in Sublette County, Wyoming – an area operators have only recently started developing with large numbers of wells. Unlike PROJECT GASBUGGY, which was a cost-is-no-object technical test, PROJECT WAGON WHEEL was supposed to ‘test profitability of atomic fracturing’ and was the biggest test to-date with plans for five ( 5 ) 100-kiloton nuclear explosions set-off 5-minutes apart and from 9,220 feet to 11,570 feet ( 2,812 meters to 3,529 meters ) in a field discovered by EL PASO NATURAL GAS. The operators planned to wait 4-months to 6-months before testing the well, and thought radiation released in testing would be lower than normal background radiation. But the project gathered a lot of opposition. Among the statements that killed it was testimony by Dr. Ken Perry, a geologist with the University of Wyoming. Looking at plans for 40 to 50 nuclear explosions per year, he said for full area development. After the PROJECT RIO BLANCO blast, officials plugged and abandoned three ( 3 ) wells in the area, but left three ( 3 ) wells open on the RB-E-01 drill pad so they could monitor the wells. When they finally abandoned the surface facilities, the radiation was no different than the background radiation in the area except for tritium readings, which exceeded government criteria in several samples. In 2002, officials decided to lift all restrictions on surface activity. They did mandate there should be no penetration of the surface to 1,500 feet ( 458 meters ) within 100 feet ( 30 meters ) of the well bore and no intrusion from 1,500 feet to 7,500 feet ( 458 meters to 2,288 meters ) within a 600 feet ( 183-m ) radius of the well bore. The situation was similar at the Rulison well site, but with a recent twist. Following the $6,500,000 million ( USD ) Rulison well, also called the AUSTRAL OIL Hayward #25-95 in Section 25-7s-95w, the government continued monitoring the subsurface as it had at Rio Blanco. In both cases it wanted to monitor the possible migration of radiation. The Environmental Protection Agency ( EPA ) also conducts annual sampling of deep monitoring wells and water sources in the area. Except for deep radiation at both sites, the areas are clean. Recently, however PRESCO INC. ( The Woodlands, Texas ) sought permission for 40-acre spacing over an area that would include the Rulison well site. It already had drilled a well in prolific Rulison field 1.5 miles ( 2.4 kilometers ) from the test site with no sign of radioactivity. Approval would have allowed the company to drill multiple wells near the Hayward well bore. Kim R.W. Bennetts, vice president of exploration and production for the company, said even if it drilled into the cavity, which it didn’t plan to do, very little radiation remained. Bennetts also said the company couldn’t, and wouldn’t, sell radioactive gas. Its planned wells in the area would be 1,200 feet ( 366 meters ) to the northeast and 1,600 feet ( 488 meters ) to the southeast of the Rulison test well. After a February 10, 2004 meeting of the Colorado Oil & Gas Conservation Commission, the company then received approval to drill only one well on 40-acre spacing within a half-mile radius of the Rulison test well. The company even had support from the county until it raised its plans from one ( 1 ) well to four ( 4 ) wells. The Colorado commission said it would approve the wells on a case-by-case basis. Currently, with no plans by any agency to continue work with ‘nuclear devices in the oilpatch’, it looks as if that research has come to an end. While it lasted, however, it was a daring period of research into ‘advanced methods of releasing huge volumes of natural gas’, and that research continues today. Our vision is that we can create value in an environment of ever-accelerating change. Value creation is our singular aim and ultimate measure of success. We believe that the increasing drive to create value represents the surest and most consistent avenue for us to benefit our customers, employees, stockholders and constituent communities. Our value creation model focuses on growth primarily derived from internal development. EG & G Incorporated is a diversified technology company that develops and provides products for public and private customers in the medical, aerospace, telecommunications, semiconductor, photographic, and other industries. The company’s operations are broken into five business units: Instruments; Life Sciences; Engineered Products; Optoelectronics; and Technical Services. Its Instruments operation is based on x-ray imaging systems and provides screening and inspection systems for use in airport and industrial security, and environmental, food, and nuclear industry monitoring. The Life Sciences unit develops systems for biochemical research and medical diagnostics. The Engineered Products unit designs and produces pneumatic systems, seals, and bellows for aerospace, semiconductor, and power generation markets. EG & G’s Optoelectronics division specializes in optical sensing devices for industrial and medical applications. The company’s final unit, Technical Services, provides engineering, research, management, and support services to governmental and industrial clients. EG & G was established by three nuclear engineers from the Massachusetts Institute of Technology shortly after the end of World War II. These engineers, Harold E. Edgerton, Kenneth J. Germehausen, and Herbert E. Grier, had been involved in the American effort to construct an atomic bomb during the war. So valued were their contributions that after the war the government asked them to establish a company to manage further development of the country’s nuclear weapons. The three established a small partnership called Edgerton, Germehausen & Grier on November 13, 1947, and quickly began collecting contracts to advise the government on nuclear tests in Nevada and on South Pacific islands. One of the first employees of the new company was Bernard J. O’Keefe, another MIT graduate who had worked for Dr. Grier during the war. O’Keefe served with the 21st Bomber Command in the Mariana Islands during the war, and is said to have personally wired the bomb that later destroyed the Japanese city of Nagasaki. O’Keefe was sent to Japan after its surrender to investigate that country’s progress with nuclear technology and recruit promising Japanese scientists for other atomic projects. A specialist in the design and development of electronic instrumentation and controls, O’Keefe quickly gained an important position in the growing firm. Inconvenienced by the length of the company’s name, employees soon began to rely on the simple acronym EG & G, which later became its official name. In order to maintain close contact with MIT and its excellent nuclear and electronic engineering programs, EG & G set up its headquarters in Bedford, Massachusetts, in northwest suburban Boston. EG & G was involved in the U.S. effort to build a more powerful nuclear weapon, the hydrogen bomb. That year, Grier and O’Keefe were present at a Nevada test site to personally witness an H-bomb detonation. After the weapon failed to explode, Grier and O’Keefe flipped a coin to determine who should scale the 300-foot test tower and disarm the bomb. 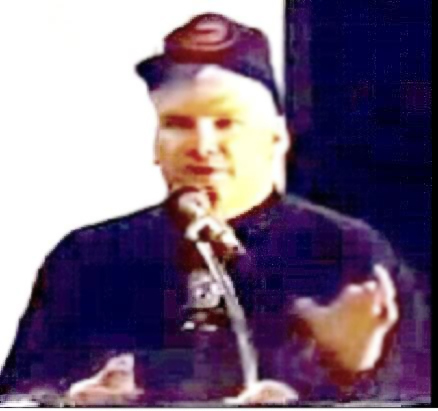 Although O’Keefe lost, he won the special distinction of being the first man to disarm a live H-bomb. O’Keefe had a second brush with disaster in 1958 when he witnessed an H-bomb detonation at Bikini Atoll in the South Pacific. There, shifting winds in the upper atmosphere caused a radioactive cloud of fallout to shower his bunker. These experiences taught O’Keefe the awesome destructive power of nuclear weaponry and the dangers of radioactive fallout. As an engineer and manager he was bound to perform his company’s contracts, but grew personally opposed to the use of nuclear weapons. This sharpened his sense of responsibility toward the emerging form of warfare, a quality that was not lost upon the government’s Atomic Energy Commission. As a result of EG & G’s experience with detonations, and O’Keefe’s concern for nuclear non-proliferation, the company became increasingly involved in distant monitoring projects, particularly as they related to Soviet nuclear tests. By observing changes in the atmosphere, EG & G was able to determine the incidence and strength of Soviet tests and provide important data on the progress of Moscow’s weapons program. In the process, EG & G gained highly specialized knowledge in environmental sciences. These skills had numerous applications outside the weapons industry, in such areas as pollution control and environmental management. As early as 1960, O’Keefe and the company’s three founders had considered establishing a new environmental analysis business, which would lessen EG & G’s dependence on low-margin government contracts and permit the company to enter new commercial markets. But at the time, neither public concern nor legislation placed a high value on such endeavors. Three years later, the United States, the Soviet Union, and the United Kingdom signed a protocol that banned nuclear tests in the atmosphere, above ground, in the water, or in outer space. With this document, EG & G appeared to lose a major portion of its business. However, the protocol did not prevent underground tests, which were far more complicated. EG & G remained the only company with the proper supervisory credentials to manage this type of nuclear testing. The company was forced to develop geologic analytical capabilities and become a ‘tunneling’ and ‘mining operation’ as well. Furthermore, the government had also laid plans to establish a kind of NASA equivalent of oceanographics ( NOAA ). Eager to take a place in this organization, EG & G invested heavily in oceanographic research. While the underwater NASA never materialized, the efforts enabled O’Keefe to further cultivate new commercial markets for EG & G, including excavation and water transmission. During this time the company’s three ( 3 ) founders moved further into retirement, taking ceremonial “executive chairman emeritus” positions. As a result, O’Keefe became the de facto head of the company. EG & G also pursued a strong acquisition campaign, taking over thirteen ( 13 ) companies between 1964 – 1967 when a strong environmental movement began to form in the United States. With legislation still years away, EG & G began laying plans to play an important role in the environmental projects it was sure would result. EG & G was divided into four ( 4 ) main operating divisions. EG & G INTERNATIONAL, primarily concerned with oceanography, was the smallest. EG & G standard products and equipment division produced a variety of machines and electronic devices, grew fastest during the 1960s. EG & G nuclear detonation and monitoring business segment remained its largest. EG & G nuclear technology group, most innovative and interesting, involved design of nuclear rocket engines ( ion engines ) for interplanetary propulsion. Harbors; Canals; and, Passageways ( Tunnels, Pipelines, etc. ). EG & G CER GEONUCLEAR CORPORATION Unit participations tested nuclear explosions ‘used to fracture layers of rock’ for access to otherwise inaccessible reserve locations of oil and gas for exploitation. Although feasible, these EG & G’public works’ projects failed in gaining public support. In fact, opposition to nuclear technology in-general ‘increased’ as people grew wary of the safety of nuclear energy. In addition, nuclear excavation would have required an unlikely waiver of the 1963 Nuclear Test Ban Treaty. With the evaporation of good commercial prospects for its nuclear engineering expertise, EG & G was forced to rely again on military projects. Despite efforts to step up mechanical and electrical engineering work (partly by acquiring a spate of small research companies), EG & G mustered only four percent annual growth during the late 1960s. Interest in nuclear power increased dramatically during the 1973 – 1974 Arab oil embargo, in which Americans sought to reduce their costly dependence on imported oil. Realizing that the world’s oil exporting nations stood to permanently lose their largest customer, the United States, King Faisal of Saudi Arabia promptly called for an end to the embargo. Nonetheless, while Americans regained access to Arab oil, the end of the embargo was disastrous for the U.S. nuclear energy industry and for EG & G.
The end of the embargo removed one of the great justifications for nuclear power, and gave anti-nuclear activists time to properly organize legislative battles. While EG & G was being locked out of yet another promising commercial application of its technologies, it attempted projects in other fields. Some years earlier, in an effort to develop a new process for purifying nuclear isotopes, EG & G developed a flash tube that was ideal for photocopiers, but by the time an application could be developed, XEROX had already saturated the market with conventional designs. In another ill-timed move, the company bet that environmental laws would cause demand for the unconventional Wankel engine to rise. EG & G purchased a Texas automobile testing agency in hopes of winning large emission monitoring contracts, but the oil embargo destroyed the market for the clean but gas-eating Wankel engine as automobile environmental legislation was abandoned. During this time, with the encouragement of the government, EG & G established a minority-dominated subsidiary, EG & G Roxbury, in a neighborhood of Boston, hoping to help strengthen the economic structure of the community. The project floundered, however, when bureaucrats failed to properly support the program, causing only a few sales to be made from the subsidiary. After a few years of disastrous results, the entire program was wound up. In 1976, EG & G environmental division evolved into a comprehensive resource efficiency operation providing complete oceanographic, atmospheric, and geophysical analysis rather than concentrating on environmental compliance languishing after the oil embargo by conserving resources, operations could more easily achieve pollution and waste reduction targets. EG & G port development was unable to use nuclear devices to carve custom designed harbors, became a world leader in oceanographic studies and channel engineering by designing numerous tanker ports in the Persian Gulf and bauxite harbors in South America. In 1979, U.S. President Jimmy Carter asked Bernard O’Keefe to serve as Chairman for the Synthetic Fuels Corporation of the U.S. government. Having already been asked to serve on a transition team for then presidential candidate Ronald Reagan, O’Keefe refused President Carter’s offer. With the election of U.S. President Ronald Reagan in 1980, the United States took a sudden turn toward military armament programs. MX nuclear underground mobile railroad missile; and, Strategic Defense Initiative ( SDI ) – Star Wars Program. MX nuclear underground mobile railroad missile; Neutron bomb; and, Europe nuclear missile weapon stationings. Nevertheless, EG & G pre-tax operating profit doubled from the new business. EG & G also became involved in the space shuttle program, checking the spacecraft electrical components, loading its fuel, and managing the Cape Canaveral, Florida space center during shuttle missions. EG & G site management abilities won it a position with the U.S. Department of Energy ( DOE ) elite Nuclear Emergency Search Team ( NEST ) which investigated nuclear extortion threats. The company also won a contract to manage the U.S. government troubled Rocky Flats installation outside Denver, Colorado facility, widely criticized under ROCKWELL INTERNATIONAL for mismanagement, manufacturing nuclear weapon triggers. U.S. Department of Energy ( DOE ); U.S. Army; U.S. Air Force; U.S. Department of Defense; and, U.S. Customs Service ( now U.S. Department of Homeland Security ). In 1988 the company hit a record high for both sales and earnings. O’Keefe retired from EG & G during this period of strong growth, and was succeeded by John M. Kucharski. Under U.S. President George Bush, and with the subsequent collapse of the Soviet military threat, the number of EG & G nuclear test projects decreased significantly. As such, EG & G was under pressure to cultivate profitable new commercial ventures to offset the loss of revenue from military contracts. The company responded rapidly, entering new commercial markets via a series of acquisitions. One of the first acquisitions of the 1990s was ELECTRO-OPTICS, the optoelectronics business of GENERAL ELECTRIC ( GE ) Canada. GENERAL ELECTRIC ELECTRO-OPTICS designed and produced advanced semiconductor emitters and detectors for defense, space, telecommunications, and industrial applications. NoVOCs Inc., an environmental remediation specialist. In 1994, facing legal pressure from activists’ groups, EG & G announced that it would discontinue its nuclear-related endeavors as its various existing contracts expired. 1994, the company undertook a major reorganization to accommodate its newly acquired interests and the discontinuation of its nuclear business. One important area of focus for the company was its Instruments division, which was rapidly becoming a leader in the field of weapons and explosives screening systems. After providing x-ray machines and metal detectors for the Democratic and Republican national conventions in 1992, the company won a contract to supply state-of-the-art explosives detection systems for U.S. federal courthouses across the nation. A subsequent contract with the Federal Aviation Administration ( FAA ) called for ten ( 10 ) of the most advanced explosives detection systems of EG & G for screening checked baggage in airports. In 1998, EG & G president and CEO John M. Kucharski was replaced by Gregory Summe ( former president of ALLIEDSIGNAL INC. Automotive Products Group ) known for his ability to streamline and consolidate technology businesses. 2. restructuring EG & G portfolio, sharpen the focus on identified high-growth markets. Life Sciences; Instruments; Engineered Products; Optoelectronics; and,Technical Services. The company also began repositioning its portfolio by liquidating assets that fell outside these growth areas and making acquisitions that strengthened the EG & G position within its identified markets. Lumen, purchased for $250,000,000 million in December 1998, was known globally as a producer of ‘specialty lighting’. Lumen acquisition served to strengthen the company’s existing position in the medical lighting market, while at the same time allowing it entry into the areas of video and entertainment lighting. The consolidation efforts that Summe’s management team initiated in 1998 were expected to continue, with the goal of streamlining sites, functions, and processes so as to reduce operating costs and improve quality, consistency, and response time. The company intended to continue its focused acquisition strategy. It also planned to continue aggressively developing and marketing new products in its various divisions. Some of the products expected to be introduced were high-volume, cost-effective systems for drug screening, and a Point of Care system that allowed diagnosticians to determine whether or not a patient had suffered a heart attack in just 15-minutes. In addition to introducing new products, the company also anticipated an increased emphasis on product line extensions and renewals. EG & G Alabama Inc.; EG & G ASTROPHYSICS ( England ); EG & G ATP GmbH ( Germany ); EG & G ATP GmbH & Co. Automotive Testing Papenburg KG ( Germany ); EG & G Automotive Research Inc.; EG & G CALIFORNIA INC.; EG & G Benelux BV ( Netherlands ); EG & G Canada Investments Inc.; EG & G Canada Limited; EG & G DEFENSE MATERIALS INC.; EG & G do Brasil Ltda. ; EG & G E.C. ( UK ); EG & G Emissions Testing Services Inc.; EG & G ENERGY MEASUREMENTS INC.; EG & G Exporters Ltd. ( U.S. Virgin Islands ); EG & G Florida Inc.; EG & G GmbH. ( Germany ); EG & G HOLDINGS INC.; EG & G Hong Kong Ltd.; EG & G IC Sensors Inc.; EG & G Idaho Inc.; EG & G Information Technologies Inc.; EG & G Instruments GmbH. ( Germany ); EG & G Instruments International Ltd.; EG & G Instruments Inc.; EG & G International Ltd.; EG & G Japan Inc. ( USA ); EG & G Judson InfaRed Inc.; EG & G KT AEROFAB INC.; EG & G Langley Inc.; EG & G Ltd. ( UK ); EG & G Management Services of San Antonio Inc.; EG & G Management Systems Inc.; EG & G Missouri Metals Shaping Company Inc.; EG & G Mound Applied Technologies Inc.; EG & G Omni Inc.; EG & G Pressure Science Inc.; EG & G Singapore Pte Ltd.; EG & G SPECIAL PROJECTS INC.; EG & G Star City Inc.; EG & G S.A. ( France ); EG & G SpA ( Italy ); EG & G Technical Services of West Virginia Inc.; EG & G Vactec Philippines Ltd.; EG & G Ventures Inc.; EG & G Watertown Inc.; ANTARTIC SUPPORT ASSOCIATES ( Columbia ); B.A.I. GmbH. ( Germany ); Benelux Analytical Instruments S.A. ( Belgium; 92.3% ); Berthold A.G. ( Switzerland ); Berthold Analytical Instruments Inc.; Berthold France S.A. ( 80% ); Berthold GmbH & Co. KG ( Germany ); Biozone Oy ( Finland ); EC III Inc. ( Mexico; 49% ); Eagle EG & G Inc.; Eagle EG & G Aerospace Co. Ltd.; Heimann Optoelectronics GmbH ( Germany ); Heimann Shenzhen Optoelectronics Co. Ltd. ( China ); NOK EG & G Optoelectronics Corp. ( Japan; 49% ); PRIBORI Oy ( Russia ); PT EG & G Heimann Optoelectronics ( Singapore ); RETICON CORP.; Reynolds Electrical & Engineering Inc.; Science Support Corporation; SEIKO EG & G CO. LTD. ( Japan; 49% ); SHANGHAI EG & G RETICON OPTOELECTRONICS CO. LTD.; Societe Civile Immoiliere ( France; 82.5% ); THE LAUNCH SUPPORT CO. L.C. ; VACTEC INC.; WALLAC ADL AG ( Germany ); WALLAC ADL GmbH ( Germany ); WALLAC A/S; WALLAC Holding GmbH ( Germany ); WALLAC Norge AS ( Norway ); WALLAC Oy ( Finland ); WALLAC SVERIGE AB ( Sweden ); WALLAC INC.; WELLESLEY B.V. ( Netherlands ); WRIGHT COMPONENTS INC.; ZAO PRIBORI. BaneBerry; Buggy; Cannikin; Dribble; Gnome; HardTack II; Hood; Pile Driver; PlumbBob; Roller Coaster; Rulison; Sedan; Shoal; Strategic Petroleum Reserve Operation ( SPRO ); Vela Uniform; Nuclear Rocket Development Station ( NRDS ); Kit Carson National Forest ( 10DEC67 ) – GasBuggy; Kit Carson National Forest ( AUG79 ) – Schneider’ Borehole Geophysics; Four-Dimensional Process Monitoring. DESERT RESEARCH INSTITUTE ( DRI ), New Mexico. Not likely places to be visited by many of us are those secretly hidden underground, and even more-so underwater – since at least the 1930s. Rarely do ‘government contract worker ants’ ( citizens ) ever realize ‘what it is’ we need to be protected from, and all anyone can think is that it is something bad we could imagine while never being able to comprehend anything ‘unimaginable’ we need protection from. Do any of us really want to know what ‘that is’, which we’re supposedly being protected against? This report covers ‘unexplainable encounters’ governments decline to publicly explain. Events, buried over time and matters long forgotten about from most memories, that-is until recent events began unfolding a few, putting old stories thought-of as ’myths’ back into perspective today. Some noteworthy facts, still remain ”classified’ and ‘locked away’ by high level authorities. Some, never revealed on television, motion picture films, books, or newspapers may now be reviewed through selected intelligence bits ‘n pieces ( below ) that may begin to dawn on some of us recalling having once heard of something about one or more but could not recall the source or details. Williams explained that ‘not all’ areas in-question are actually ‘resting’ or “floating” on the ocean. Many subterranean cavities are located beneath the western United States but not limited to just “California,” and consist of very large water-filled aquasystem passageways are explored up to several hundred miles inland, by nuclear-powered submarine, particularly in regions of southern California, northern California and southern Oregon. 7. What is being passed-off as the “San Andreas Fault” are large unsupported chambers [ caverns ] that are in the process of collapsing. When the ‘big one’ [ earthquake ] finally hits, many scientists in the know believe that most of California will break off like a cold Hershey bar [ chocolate candy bar ] and slide into the ocean. Williams continued, “I have no reason to doubt the man. I can’t tell for sure whether or not these caverns and passageways exist or to their extent. The story does sound a bit fantastic but I have no reason to doubt the man [ retired U.S. Navy officer ]. I have seen copies of documentation at least proving he was a high ranking U.S. Navy officer with nuclear-powered submarine duty, and a distinguished scientist. His scientific background and reputation are impeccable. He definitely cannot be labeled as a crackpot, lunatic or publicity seeker. 1963 April 23 – SubOceania One note of interest, in connection with the account of John J. Williams, was a statement made by Virginia Louise Swanson, a prominent investigator of the California elusive creature known as “Bigfoot,” a huge hairy creature that walks upright. Virginia L. Swanson has performed considerale studies on cave connections in relationship to the Bigfoot phenomena and its ability to hide so well, and refers to these California dry cavernous openings saying, “Somewhere I got the idea that a big portion of Death Valley [ California ] is located on a shelf of ‘false bedrock’. A certain type of earthquake would collapse all of it down to an enormous series of caverns that would open-up into another Grand Canyon [ Arizona ].” According to our knowledge, the only nuclear-powered submarines to ever disappear – under mysterious circumstances – were the USS SCORPION or USS THRESHER. It is uncertain whether the retired U.S. Navy officer, who John J. Williams spoke of, was referring to the USS SCORPION or USS THRESHER, although the USS THRESHER disappearance caused more publicity as a Flagship, the World’s most advanced class nuclear attack submarine designed to operate deeper in sea depths and more silent ( noise reduction propeller screws ) than any of its predecessor submarine vessels, The U.S.S. THRESHER was also endowed with highly significant advanced sonar equipment, fire-control systems, and was the most advanced international submarine in the World at the time of its disappearance so, it could have easily been an ideal choice as a U.S. Naval Oceanographic underwater global exploratory vessel missioned top secret for caverns mentioned by the U.S. Navy officer earlier interviewed by John Williams. On April 10, 1963 the USS THRESHER, under command of U.S. Navy Lieutenant Commander John W. Harvey, a total of 129 men comprised of the ‘crew’, ‘civilian technicians’, and ‘observers’ – according to official government reports – disappeared without any explanation, trace or clue as to the fate of the vessel or occupants, nothing was ever recovered, and no indications of any oil slicks, radiation, floating debris, or similar signs of wreckage were ever seen. It is interesting to note that, at the time almost all reports stated the USS THRESHER “disappeared” or was “lost” but no reports indicated it was “sunk” [ or “buried” or “captured” ]. One woman, whose husband was on the ill-fated USS THRESHER, reported she believed her husband was still alive. Theologically speaking, the possibility of a long distance connection or “communion” on a deep emotional level between a husband and a wife may not always be consigned to the realm of the occult or psychic phenomena. Many religions believe the very spiritual natures of a husband and a wife are united upon consummation of a marriage and thus become as Christian teachings indicate, “one flesh”. “What do you believe really happened?” Carson and Joy asked the attractive young woman. “Deep Springs, California is an area that is becoming known as the site for very strange events. According to the information released both on the air of KVEG AM radio and from other sources, the area is full of strange people wandering around in black suits. There have also been rumors that there is an underground facility in the area. Checking with gravity anomaly maps proved that there are large cavities under the ground in that area. The wildest claims relative to the area have stated that alien life-forms are being released there … Deep Springs Lake has been probed and it appears bottomless. “It has always been a mystery to us, in the first place, how Mr. and Mrs. P.E. [ names excised for privacy ] can find and afford the time to do the sort of things most of us only dream of doing. After knowing them for more than 15-years, it is inconceivable to suspect their integrity or sanity – and yet they impose the following excise upon our credulity. While exploring for petroglyphs, in the Casa Diablo vicinity of Bishop, California Mr. & Mrs. P.E. came upon a circular hole in the ground, about 9-feet in diameter, which exuded a sulfurous steam and seemed recently to have been filled with hot water. A few feet from the surface the shaft took a tangent course which looked easily accessible and, upon an impulse with which we cannot sympathize, the dauntless E.’s – armed only with a flashlight – forthwith crawled down into that hole. At a depth we’ve failed to record the oblique tunnel opened into a horizontal corridor whose dripping walls, now encrusted with minerals, could only have been carved by human hands, countless ages ago; of this the E.’s felt certain. The end of the short passage was blocked by what seemed to be a huge doorway of solid rock which, however, wouldn’t yield. Their flashlight was turned to a corner where water dripped from a protuberance, which proved to be a delicately carved face, distorted now by the crystallized minerals, and from whose gaping mouth water issued. As Mr. and Mrs. E. stood there in silent awe – wondering what lay behind that immovable door – the strangest thing of all happened … but our chronology will not be incorrect if we wait until they return to the surface before revealing this, for now the water began gushing from the carved mouth and from other unseen ducts elsewhere in that cave and rising at an alarming rate. They hurried to the surface, and in less than 30-minutes there was only a quite ordinary appearing pool of warm mineral water on the desert floor. “A great deal of UFO research has also led to the conclusion that various … species of aliens have set up secret underground bases in the United States and other countries. It is logical to assume that such bases have also been established elsewhere in the solar system. If such bases exist, where would we find them? Existing information allows us to make a few educated guesses. Earth bases, underground, The dark, cavernous world beneath our feet is the source of many baffling mysteries. Clandestine UFO bases may be hidden deep within the earth in natural and/or artificial caverns. As a former member of the National Speleological Society ( NSS ), I am well aware of the vast extent of cave systems within the United States. In my own native state of Missouri, for example, there are over 2,500 known caves and dozens of new ones being discovered every year. Many of these caves are intricately linked together by numerous passageways and interconnecting chambers. One particular species of blind white ( albino ) cave fish, known as the TYPHLICHTHYS, has been found in many widely separated cave systems over several states. These states rest above one [ 1 ] immense cavern system that comprises a large area of ‘both’ the Central United States and Southern United States where many caves possess rooms hundreds of feet in length, width and height as huge natural caverns only reached and explored with the utmost skill and perseverance. There are only a few thousand National Speleological Society ( NSS ) members in the U.S. and only a few hundred of this number are active spelunkers so, with few spread over such a large area only a very small fraction of the tens of thousands of known caves in the U.S. have been carefully mapped and explored while thousands of other caves remain undiscovered and unexplored. Extensive evidence indicates caves in the U.S. may be connected with caves in other parts of the world. In the Municipio de Aquismo, S.L.P. of Mexico, the cave known as ” Sotano de las Golondrinas ” [ known in English as ] “Basement of the Swallows ” reaches a depth of 1,100 feet ( 334 meters ). The Sotano de las Golondrinas cave is actually a giant ‘sink hole’ or ‘hole in the ground’. Atop Sotano de las Golondrinas hole is a ‘near circular opening hundreds of feet in diameter that is impossible to climb down the sides of because the walls of the opening are too smooth and “belled-out” so, the only way to reach the bottom is to secure – at its top – a special rope over 1,100 feet long dropped into the sinkhole. Underground explorers [ spelunkers ] must descend – into the Sotano de las Golondrinas yawning hole – one [ 1 ] person at a time, using special cave repelling gear and climbing techniques. At the bottom of the Sotano de las Golondrinas hole are numerous ‘leads’ ( openings ) that feed into multiple different crevices, passageways, crawlways and rooms never mapped or investigated. Sotano de las Golondrinas cave entrance is located in one of the most primitive and uncivilized areas of Mexico, and local inhabitants are afraid to approach the cave because they believe it is full of ‘evil spirits’ luring people to their deaths. They tell stories of people mysteriously disappearing never to be heard from again while passing near the cave entrance. These stories may be based more on fact than fiction as they are similar in some respects to UFO [ unidentified flying objects ] abduction reports. Because of the Sotano de las Golondrinas huge hole size, remote location and unique geological structure it would be an ideal UFO [ unidentified flying objects ] base. Naturally camouflaged caves, in other parts of the world, may serve as excellent natural bases, way-stations or depots for UFOs. In December 1968, the ” SCHOONER EXPERIMENT ” was an underground nuclear test conducted that substantiates the theory that caves in North America and South America are intimately linked. Bourke Lee authored the book, ‘Death Valley Men’ ( MacMillan Co., N.Y. 1932 ), wherein Chapter “Old Gold” described a conversation Bourke Lee had with a small group of Death Valley, California residents speaking of Native American Paihute Indian legends when two ( 2 ) men ( Jack and Bill ) began describing their experience with accidentally discovering an ‘underground city’ after one of them fell through the bottom of an old mine shaft near Wingate Pass where they began following a natural underground quay like tunnel system ( apparently formerly lit by subterranean gas light ) traveling 20-miles northward on an incline taking them to a higher level with an exit out onto a ledge looking about halfway down the slope of the eastern face of the Panamint Mountains, but back down within the tunnel system they came across a huge ancient underground cavern city that contained many sights, including several perfectly preserved mummified bodies ( mummies ) still wearing thick arm bands, gold spears, a ‘large polished round table’ within another huge ancient chamber, giant statues comprised of gold, stone vaults where ‘drawers’ were filled with a variety of precious gem stones and gold bars, stone doors perfectly counterweighted easy to open, amongst other amazing sights, as well as ‘extremely heavy stone wheelbarrows’ designed with scientific counterweight construction for perfect balance so they could easily be manipulated. From the ledge, they could see Furnace Creek Ranch and its Arroyo ( a water wash ) below them in Death Valley where they realized it was formerly filled with water so, they concluded that having previously seen the underground city system of huge archway openings could have been ancient waterway docks for large boats. Bourke Lee was further informed that they brought some of the treasure out of the caverns and tried to set up a deal with certain people, including scientists associated with the SMITHSONIAN INSTITUTE ( Washington, D.C. ) to garner assistance in further exploring and publicizing this ancient underground city as one of the wonders of the World, but there efforts ended in disappointment when a friend of theirs stole the treasure ( their ‘evidence’ ) and were consequently scoffed at and rejected by scientists because when the discoverers went to show the ‘mine’ entrance after a then apparent cloud-burst brought such severe rains upon the entire hillsides were washed down over entire countryside landscape areas rearranged to obscure the entrance location. The last time Bourke Lee heard from his friends, Bill and Jack, they were preparing to climb the eastern face of the Panamint Mountains to locate the ancient tunnelled-out ledge opening – located half way up the side of that steep slope. Bourke Lee never saw or heard from his discoverer friends ( Jack and Bill ) again. An alleged ‘subterranean race’ living in deep underground caverns beneath the ‘former seabed floor area’ of what is now the desert area of Death Valley, California. There was another conversation about a remarkable Native American ‘Paihute tribe legend’ similar to an ancient myth of Greece. The Paihute legend surrounds the death of the wife of a tribal Chief who, according to Native American tradition, took a ‘spiritual journey to the underworld’ to locate her, and amazingly upon returning with her he forbiddenly ‘looked back’ and was then prevented from bring his wife the remainder of the back from the dead. This would not be the same as a more tangible earlier report from the Native American Navaho indian Oga-Make who conveyed that a Native American Paihute indian tribal Chief was alleged to have been ‘physically’ taken into the Native American “Hav-musuv” tribe subterranean cities beneath the Panamint Mountains. Paihute indian legends, of the Hav-musuvs indicate these ancient Panamint Mountain dwellers abandoned their ancient city within by migration deeper into larger caverns below. Could these reports coincide with the Paihute legends of the Hav-musuvs? “… The ‘professor’, ‘Jack’ and ‘Bill’ sat in the little canvas house in ‘Emigrant Canyon’, and heard the legend all the way through. ‘It’s very interesting,’ said the professor. From that point forward the conversation went onto another subject. An area in the [ southern California ] Mojave Desert region, that may connect to the U.S. Western Region subterranean ( subsurface ) drainage network, involves “Red Mountain” ( also known as the “Iron Mountain Range” ) [ 1-mile northwest from the old ghost town of Garlock, California ] where one [ 1 ] of its [ southeastern ] peaks in the “El Paso Mountains” – [ about 20-miles ] northeast of Mojave, California where there are many bizarre accounts connected with this mountain that apparently got it’s name in-part from the many old mines which can be found there, along with numerous natural cavities which open out to the surface in many different areas. The area has allegedly been the site of certain activity concerning Native American Indian ritual and occult practices, as well as the site of alleged secret government activity, some of which reportedly involves the observation and monitoring of strange [ biological ] creatures and ‘automatons’ [ half and half, “Man-Machines” (aka) “Manchines” ] said to stealthily ( night cloakers ) emerge from seemingly out-of nowhere ( faint sound of electronic whirring ) that travels up and down and into the [ canyon ] areas on occasions. Just exactly what these ‘bionic creatures’ are is uncertain, but some accounts indicate that they are dangerous! Could it also be a ‘magnetic’ zone due to the high iron content [ within the “Iron Mountain” range ]? During the early 1970′s, on ‘no less than’ two ( 2 ) seperate occassions have U.S. federal government employees mysteriously disappeared from ”Red Mountain” range areas, and not reported back for work the following day. The second [ 2nd ] occassion was, when a U.S. government employee went missing while investigating the previous disappearance of the U.S. government employee during the first [ 1st ] occassion. Some years ago, a woman by the name of Joan Howard – at the time living in eastern Canada although originally from Britain ( UK ) – wrote a manuscript in which she described her own paranormal experiences with small “alien” entities. Joan had experienced several UFO type abduction / encounters while at a very young age when she still lived in Britain ( UK ), and claimed to have had ‘psychic contact’ with [ biological ] beings that claimed to be of extraterrestrial origin. These experiences were accompanied by a great deal of occult manifestations – such as poltergeist phenomena, psychic dreams, encounters with invisible entities, etc. Joan even admitted that she often doubted the claims of these [ biological ] ‘beings’ – their actions being manipulative and just didn’t seem to coincide with their claims of being here as some kind-of ‘group of cosmic saviors’ to ‘lead humanity’ into a ‘New Age’ of ‘enlightenment’. She also warned other researchers, to retain a “keen analytical mind” – when dealing with alien entities – so as not to fall under possible deception or manipulation. Perhaps, as she suggested to others, they [ alien beings ] ‘might actually be here’ to ‘prepare for a future invasion of this planet’ and were merely ‘using her for various purposes to help prepare the way’, and that all of their ‘benevolence’ talk was just that – talk! She ‘did’ describe vivid “dreams” in which she saw ‘alien craft hovering over major cities blasting frightened and terrified people in the streets’ with powerful ‘beam weapons’ – ‘dreams’, which she suggested, might be somewhat ‘prophetic’ in nature. She described the [ biological ] entities as being small or dwarfs, yet was unsure whether they were human or not – although they ‘did’ attempt to pass themselves off as some type of ‘evolved human species’ – something which the ‘Grays’ [ biological alien beings ] have apparently done in order to break down any natural enmity which might prevent their ‘contactees’ or ‘abductees’ from receiving the lies which they intentionally fed them as part of their program of conquest and control. Joan Howard, incidentally, wrote a privately published book, “The Space – Or Something – Connection,” which is referred to because it dealt with some experiences her husband had – shortly after she came to America. In fact she devoted an entire chapter of her book ( “The Space – Or Something – Connection” ) to her husband’s account, which involved some incidents that took place while he was doing some field work for a certain company requiring a great deal of activity outdoors, and her husband and his co-workers travelled through some relatively unpopulated terrain in West Virginia regional areas between Newville, West Virginia ( Braxton County ) and Helvetia, West Virginia ( Randolph County ) general around northern Webster County, West Virginia where through mountains of rolling hill forests and wilderness he encountered some very strange things and heard accounts of strange cave related incidents from the locals. During, which at one point, her husband claimed their group ran across what appeared to be a pipe sticking up from the ground – far away from the nearest town – where there was no other sign of civilization or anything man-made for miles on either side; yet here was this large pipe or tube sticking straight up from the ground. The most remarkable thing about the pipe was that a flame of fire was shooting straight up out-of the pipe as if it were burning-off some type of gas – they never found out just what it was – but it was ‘within this same general area’ they explored ‘caverns’ containing unexplained issues. One ( 1 ) of the caves displayed strange hieroglyphic writings on its walls, according to some men, while others claimed also hearing faint volumes of voices – behind the walls of the cave, in-addition to faint sounds – coming from beneath the cave floor – as though machines were moving around within ‘underground’ depths. Her husband claimed, that after a long work day in the field, one evening two ( 2 ) men fell asleep at the mouth of one particular cave that inside ( a great distance away ) contained an unexplored but apparently very deep chasm ( hole ), and the following morning one ( 1 ) of the two ( 2 ) men awoke ( in front of that cave ) but found his partner had disappeared – no trace was ever found of that missing employee. That particular cave had been known as a place of unusual occurrences, and a place to stay away from. Some even went so far as to call it “Satan’s Lair.” Whatever the case circumstances may actually be, all the aforementioned information may provide some additional awareness into what may have surrounded that employee’s disappearance. One of the most remarkable accounts that Joan Howard’s husband heard involved a man claiming, that while exploring labyrinth depths of a particular cavern in the same area of north Webster County, West Virginia ( USA ), he suddenly came face to face with an attractive woman completely void of any hair on her head, and the woman spoke in a language completely foreign to the man – whereupon after unsuccessfully trying at great lengths to communicate with each other they departed and went their separate ways. During the 1940′s, one of the few specialized publications – that grew out-of the Palmer – Shaver ( Richard S. Shaver ) controversy – was The Hidden World ( issue A-8 ) reporting about a letter released from Charles Edwards ( aka ) Chuck Edwards, a researcher, surrounding what many people ( especially those throughout southern California ) have believed for decades based on having been officially told the United States Western Regional area subterranean drainage ultimately all flows into the Pacific Ocean. Later, in 1962, Chuck Edwards released some of his own discoveries surrounding the “Western Subsurface Drainage Network” ( i.e. southern California, Nevada, and Utah ) that ‘does not’ “ultimately flow into the Pacific Ocean,” but actually flows ‘underground’ through a ‘vast subterranean network drainage system’ dumping elsewhere. Our foundation has located a vast system of underground passages in the Mother Lode country of California. They were first discovered in 1936, ignored by all even with our best efforts to reveal them. Recently a road crew blasted out an opening verifying our claims. One [ of the chambers is ] 200-feet long, 70-feet wide and 50-feet high. We have disclosed what we believe to be a vast subterranean drainage system ( probably traversing the Great American Desert country for a distance of more than 600-miles ). We believe this system extends out like five [ 5 ] fingers of your hand to such landmarks as Zion Canyon in Utah, the Grand Canyon [ Arizona ], another runs south from the Carson Sink in Nevada, and yet another follows [ below ] the western slope of the same range – joining it’s counterpart and ending somewhere in the Mojave Desert [ southern California ]. We believe – contrary to orthodox geologists – that the existence of this underground system, drains all surface waters running into Nevada ( none, with the exception of the Armagosa, runs out ) and accounts for the fact that it is a Great American Desert. The hairy creatures, that you have written about, have been seen in several of these areas. Certainly there has been much ‘saucer’ [ UFO ] activity in these parts. For 2-years, I have collected material pertinent to these creatures and if you have any opinions along these lines I would appreciate hearing them. So much for now. I hope that I am still your friend. Much of my time has been devoted [ to ] helping a farmer near Portland [ Oregon ] who has made a fantastic discovery of incredible stone artifacts. He has several tons of them. They predate anything yet found ( or accepted ) let us say that for now. We are making slow but steady progress in getting through the wall of orthodoxy. Following the Sierra Nevada [ mountain ] range from here [ California ] into the northern territories, one arrives at the Cascade Range [ mountains ], consisting mostly of dormant or extinct volcanic mountains rising at intervals through the U.S. northern State of California, Oregon, Washington, and into southwestern Canada. The Cascade Range [ Cascadia Fault zone ] is not without it’s own peculiar accounts of subterranean recesses occupied by unknown beings – both human and non-human – apparently rediscovering what are portions of ancient antediluvian underground networks, which some say were inhabited by a race of intelligent [ biological ] but war-like hybrid reptiles genetically resembling instances of humanoid shapes. There are many unanswered questions as to just how the subsurface world was used or exactly what role it may have played in relation to subterranean ancient legends of inhabitant races, but the following account may explain some mysteries by envisioning a clearer and broader perspective. “In beginning this narrative and the unexplained events that befell my friend and myself, I offer no explanation, nor do I even profess to offer any reason. In fact I have yet to find a clue that will even in part offer any explanation whatever. Yet as it did happen, there must be some rhyme or reason to the whole thing. It may be that someone can offer some helpful information to a problem that just should not exist in these times of enlightenment. To begin with, if we had not been reading an article in a magazine telling us about the great value of guano, ( i.e. old cave bat excrement / dung droppings as being highly valued fertilizer ] that have accumulated over a great number of years, we would have continued to mend our merry way through life without ever having a thing to worry about. But having read the article as we were at the time living near a small town called Manten in Tehama County, California we thought that would be a good country to explore for a possible find of this kind. After talking it over for some time, and as we had plenty of time just then, we decided to take a little trip up the country just back of us. As we were almost at the foot of Mount Lassen, that seemed the best place to conduct our little prospecting tour. Collecting a light camping outfit, together with a couple of tents to sleep in, we started out on what we expected to be a 3 or 4-day jaunt up the mountain … I guess we covered about 10 or 12-miles on the 3rd day and it was fast approaching time to begin to look for a place to spend the night and the thought was not very amusing as it had turned a little colder and we were well over 7,000 feet above sea level. We soon found a sheltered place, beneath a large outcrop of rock, and set about making a camp. As I was always the cook, and Joe the chore boy, I began getting things ready to fix us some grub. Joe began digging around for some dead scrub brush to burn. I had things all ready and looked around for Joe and his firewood, but I could see no signs of him. I began calling for him, and he soon came into sight from around the very rock where we were making our camp. And I knew he was laboring under some great excitement and his face was lit up like a Christmas tree. He had found a cave. The entrance was on the other side, of that very rock. He was all for exploration right away. But I argued that we had better wait till morning. But he argued that, in a cave it was always night and we would have to use flashlights anyway, so what would be the difference? Well, we finally decided that we would give it at least a once-over after we had a bite to eat. I don’t know how far we went, but it must have been 1-mile or 2-miles, as we kept on walking and the cave never changed it’s contour or size. Noticing this I mentioned it to Joe. And we discovered an amazing thing. The floor seemed to be worn smooth as though it had been used for a long time as a path or road. The walls and ceiling of the cave seemed to be cut like a tunnel. It was solid rock and we knew that no one would cut a tunnel there out of rock as there had been no sign of mining operations ( tailings ). And the rock in the walls and ceiling was run together like it had been melted. Or fused from a great heat. While we were busy examining the cave in general, Joe swore he saw a light way down in the cave. We started down the cave once more and found a light. Or should I say the light found us as it was suddenly flashed into our faces. We stood there blinded by it for a minute until I flashed my light at it’s source and saw we were confronted by three [ 3 ] men. These men looked to be about 50 or a little younger. They were dressed in ordinary clothing such as is worn by most working men in the locality. Levi type pants and flannel shirts and wool coats. They wore no hats. But their shoes looked strange as their soles were so thick that they gave the impression of being made of wood. We came to a place where the cavern widened out a little and we saw some kind of machine, if it can be called that. Though I had no chance to examine it closely at the time, I did later and it was a very strange contrivance. It had a very flat bottom, but the front was curved upward something like a toboggan. The bottom plate was about 8-inches thick and it was the color of pure copper. But it was very hard tempered. Although I have had a lot of experience in metals and alloys, I had no opportunity to examine it closely enough to determine just what it was. I doubt very much if I could. It had a seat in the front directly behind a heavy dashboard affair and there was a dial shaped in a semi-circle with figures or markings on it. I had not the slightest idea what they stood for, but they were very simple to remember. If there was a motor, it was in the rear. All I could see was two [ 2 ] horseshoe or magnet-shaped objects that faced each other with the round parts to the outside. When this thing was in operation, a ‘brilliant green arc’ seemed to leap between the two [ 2 ] and to continue to glow as it was in operation. The only sound it gave off was a hum or buzz that sounded like a battery charger in operation. The seat in the front was very wide. The only method of operation was a ‘black tear-shaped object’, which hung from the panel by a chain. One [ 1 ] of these men – sitting in the middle – took this thing and touched the sharp end to the first [ 1st ] figure on the ‘left side’ of the dial. When he touched the first [ 1st ] figure, the contraption seemed to move almost out from under us, but it was the smoothest and quietest take-off I ever experienced. We seemed to float. Not the slightest sound or vibration. And after we had traveled for 1-minute he touched the ‘next [ 2nd ] figure’ on the dial and our speed increased at an alarming rate. But when he had advanced the black object over past the center of the dial, our speed increased until I could hardly breathe. I can’t begin to estimate the distance we had traveled or our speed, but it was terrific. The two [ 2 ] horseshoe objects in the rear created a green light that somehow shone far ahead of us, lighting up the cavern for a long way. I soon noticed a black line running down the center of the cavern and our ‘inner-mountain taxi’ seemed to follow that. I don’t know how long we continued our mad ride, but it was long enough for us to become used to the terrific speed and we had just about overcome our fear of some kind of wreck when we were thrown into another spasm of fear. Another machine of the same type was approaching us head on. I could see that our captors were very nervous, but our speed continued. As the other machine became closer our speed slowed down very fast and we came to a smooth stop about 2-feet from the front of the other machine. Our machine had no sooner stopped than our captors leaped from the machine and started to dash away. A ‘fine blue light’ leaped from the other machine in a ‘fine pencil beam’ and it’s sweep caught them and they fell to the cavern and lay still. The figures dismounted from the other machine and came close to us. Then I noticed they carried a strange object in their hands. It resembled a ‘fountain pen flashlight with a large round bulb-like affair on the back end and a grip’ – something like a German luger pistol. They pointed them at us. After seeing what had happened to our erstwhile captors I thought that our turn was next, whatever it was. But one [ 1 ] spoke to us. I guess we are, as this is where we came from very recently. If you mean those guys, I pointed to the five [ 5 ] motionless figures, back there a few hundred miles – I pointed toward the way we had come in our wild ride. That was the first time I had realized that the others were dead. They put their strange weapons away and seemed friendly enough, so I ventured to ask them the who and why and everything we had run into. I told them of our search for guano and how we had encountered the five [ 5 ] horlocks, as he called them, and asked ‘him’ about the machines, their operation and could we get out again? He explained to us the operation of the machine and in some way reversed it’s direction. So thanking them, we seated ourselves in the sled, as he had called it, and were soon on our way back. Our return trip was really something we enjoyed, as I was sure not to advance the carbon far enough on the dial to give us such terrific speed, but we soon found ourselves where we started from. The sled slid to a smooth stop and we jumped out and started up the cave afoot. We must have walked a long way coming in, for we thought we never would come to the surface. But at last we did. And it was late afternoon when we emerged. We lost no time in making our way down the mountain, and Joe tells me that he isn’t even curious about what is in that cave. But I am. What is the answer to the whole thing? I would like to know. We had been told enough for me to believe that down there – somewhere – there are things that might baffle the greatest minds of this Earth. Sometimes I’m tempted to go back into that cave if I could find it again, which I doubt, but, then I know the warning I heard in there might be too true, so I guess I had better be of the same mind as Joe. He says: ‘What we don’t know don’t hurt us’. Regardless of Joe’s opinion, however, there is reason to believe that influences from these nether regions can and do affect “us” in a profound way, and even the men whom Ralph and Joe encountered, whoever they were, admitted this fact.